Arminia Bielfeld hoping to repeat the same effort when they knocked out Hertha Berlin back in October as they welcome Werder Bremen tonight. The host had been solid at home, as they have won 8 home games on a spin and 15 games unbeaten at home, could well hold on to extra time I reckon! 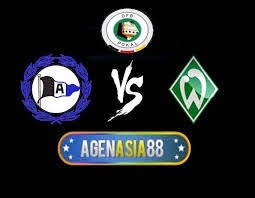 Werder Bremen lost a thrilling 3-5 score against Wolfsburg at home indicated they seriously having defensive issue, but overall, they are capable of scoring anywhere, so I would not expect a 0-0 full time in this game! I think over 2.5 should be safe.